Intuit, the company behind incredibly popular tax and accounting software products like TurboTax, QuickBooks, Mint.com, and many more announced this week that it’s jumping aboard the Bitcoin locomotive with QuickBooks Bitcoin Payments. Revealed in a post on the Intuit Lab Experiments area of the company’s website, Intuit announced a new service aptly named QuickBooks Bitcoin Payments — a new add-on that will allow businesses to accept Bitcoin without ever having to create a Bitcoin wallet or handle the ‘crypto-currency’ directly. “Small businesses just want to get paid. Cash is troublesome to keep track of, checks have lots of friction (writing, mailing, depositing) and card transactions have high fees,” Intuit wrote. Intuit is inviting QuickBooks users to sign up for the beta waiting list [here]. Intuit explains that there are two primary factors that inhibit businesses from accepting payment in Bitcoin. The first, they cite, is the fear of creating a Bitcoin wallet — due in part to disgraced and collapsed Bitcoin exchange Mt. Gox. “With recent news about Mt. Gox in the media, trusting a third party bitcoin wallet provider can be a scary prospect,” Intuit wrote. The second issue they cite is Bitcoin’s notorious price volatility. Intuit is trumpeting its QuickBooks Bitcoin Payments as a means for users to see only dollars when accepting Bitcoin, not needing to deal with charge-backs, and not needing to deal with the high fees set by conventional payment networks. 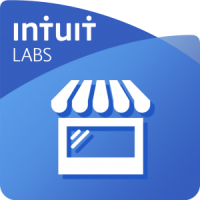 Intuit’s biggest advantage, however, may be that it can easily allow Bitcoin integration to retailers via their popular QuickBooks Point of Sale (POS) system. With hundreds of thousands of businesses able to accept Bitcoin simply by following Quicken’s POS system prompts, the potential for rapid, low-risk growth in merchant acceptance is immense. It could also work out well for Intuit, providing a growth market in regions where demand for low-cost accounting software is likely to expand should Bitcoin’s promise of a stable global currency pan out in the coming decades. Is QuickBooks Bitcoin Payments A Big Deal Or Not? While it’s intriguing that a multi-billion dollar software company is setting its sights on crypto digital currency, some within the crypto community — particularly early adopters — have suggested that Intuit’s approach is little more than an attempt to join the bitcoin hype train. Bitcoin’s features benefit merchants most — so why should a service that simply converts the bitcoins into dollars impress us? What would be more impressive would be a service that allows merchants to easily handle and manage bitcoin funds (as opposed to creating a service that essentially accepts and eliminates the bitcoin factor almost immediately), that way merchants could spend them (perhaps even in the supply chain). That would truly establish an ecosystem independent of today’s financial system.